GPS-based tracking and training for up to 21 dogs. 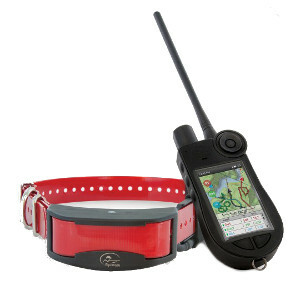 SportDOG Brand was first to combine GPS tracking with e-collar training. Now, with TEK 2.0 technology, tracking and training is more reliable and more accurate than ever. Enjoy total control of your dog, or even up to 21 dogs (by simply adding TEK-2AD collars) with premium training features, along with feedback on their locations, via preloaded, full-color 1:100,000 topo maps. Simply put, no other system lets you hunt and navigate with such confidence. In terms of range, accuracy and reliability, the TEK 2.0 Tracking System surpasses every other system on the market. Unlimited lifetime map updates also come with your system. And each collar has a rechargeable Li-Ion battery that offers approximately 24-hours of life (at 3 second update rate). You can also track your hunting buddy's handheld so you never have to worry about leaving someone behind. The system's range is up to 10 miles using HopTek Technology. The Drytek™ collar is waterproof and submersible up to 25 feet. The handheld device is waterproof and submersible up to 5 feet.